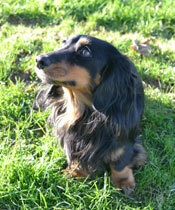 As part of the 'Be Lungworm Aware' campaign, 1,000 dog owners were quizzed on their pets' eating habits. It was revealed that almost 60% of dog owners admitted that their pet has eaten something which it was not supposed to. It was also uncovered that 20% of dog owners had taken their dog to the vet more times than they had visited the dentist and, 12% had seen their dog eat a slug or a snail. Luke Gamble, a veterinary surgeon and TV personality, said: "It is a hidden killer so we are very supportive of the 'Be Lungworm Aware' campaign in the hope that more dogs will be saved from this horrible disease." However, on a lighter note, out of the 1,000 people polled, one in five admitted that their pet had eaten their underwear whilst 25% said that their dog had chewed through an important document which came through the post.